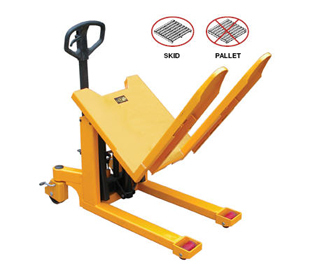 Manual hydraulic pump tilter-lift & tilts crates, boxes & Euro pallets. 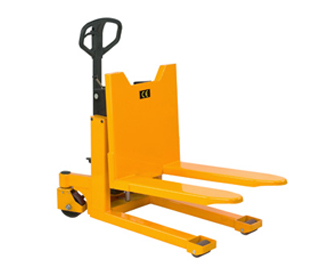 Gives the user the ergonomically correct position to reach loads easily without bending or stretching. Forks will title through to 90°. Pulling / Pumping handle can be locked in position away from line of work. Lift & Tilt operated by single pump unit fitted with supply changeover valve.